The Eau de Vinci Parfum Spray is a rich and luxurious, long lasting formula of emollient oils and Vitamin E with a higher concentration of parfum oils. 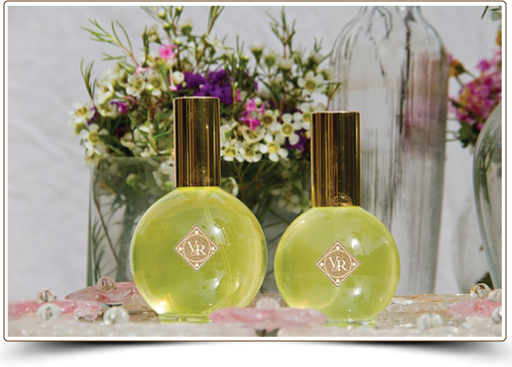 This unique, non-alcoholic blend is the perfect carrier for your favorite Vinci & Rakos Parfum. After your bath or shower, spray liberally then gently massage onto your skin. Because of its richness, this special formula will take a few moments to dry to the touch. Feel the smooth and protective “cushion” left on your skin and the fullness and intensity of your chosen scent. A client favorite for 25 years. Packaged in a soft and reusable, organza drawstring bag.